'Tis the season to plant holly fa la la la la la la la la! Okay, so it's not quite holiday time yet, but it's the perfect time of year to plant trees and shrubs. 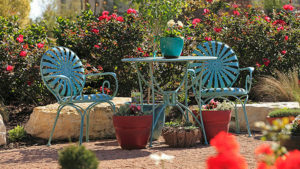 Especially if you're thinking about ways to add color to your winter landscape. Hollies not only offer beautiful, glossy green foliage when everyone else is asleep, many hollies produce colorful berries. Here's just one of the many varieties that we carry at The Garden Center. Dwarf Chinese Holly has those hallmark spiny holly leaves and lots of them! Its very dense branching gives it a compact, rounded form. While it does produce berries, the foliage is so thick that you might not ever notice them! 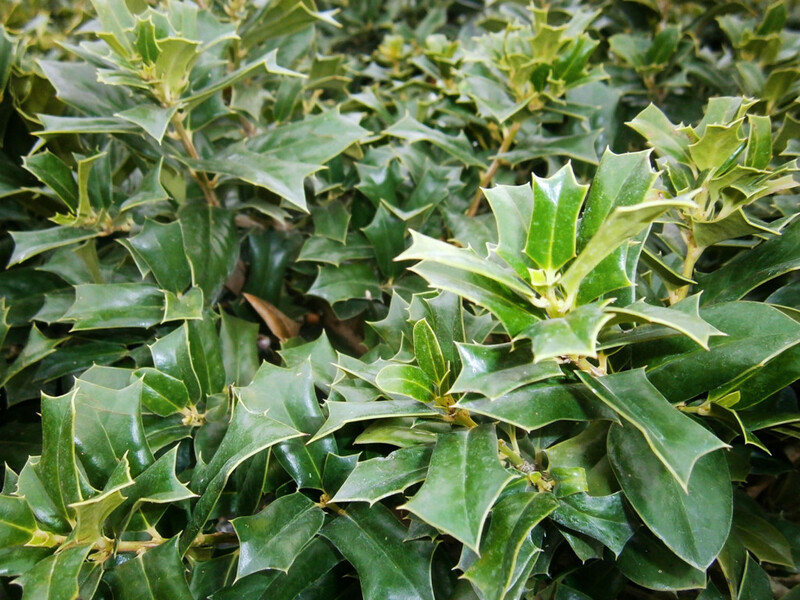 This holly is excellent when used as a low hedge or barrier plant. It's perfect for those hard to fill landscape areas like corners. Plant a few together for a groundcover look. Plant it under windows where the spiny foliage could deter intruders. Since it's slow growing, you could even plant Dwarf Chinese holly in a container. This plant is tough too! It can adapt to a wide range of soil types as long as it's got good drainage. While it prefers cool, moist soil, it is also very drought tolerant once it's established. Plant Dwarf Chinese Holly in full to part sun for the best results. Pruning will help to keep this plant neat and tidy, but won't need it often. Bonus: Dwarf Chinese Holly's thick, spiny leaves make it deer resistant. Ready to plant one? The Garden Center has Dwarf Chinese Holly available right now! Pick up a three gallon container for $24.99. We also have plenty of other holly varieties to choose from. Don't forget that we are still having our 40% off sale until the end of November!